It’s difficult, if not impossible, to imagine how a team could seem disappointed in themselves after trouncing an opponent by nearly 100 points. After all, even mistakes seem trivial in a situation where they have no effect on the outcome. 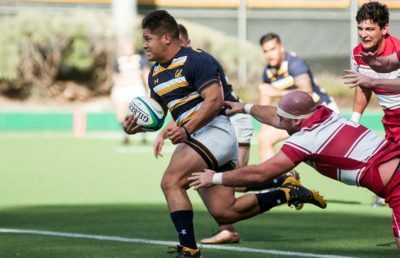 That being said, the Cal rugby team isn’t your average team, and with an away game against University of British Columbia on the horizon, every mistake — even in a resounding 100-3 win — must be corrected. In their second match in which they’ve touched the century marker, the Bears (15-0) slayed the Broncos in an organized and timely fashion. The only points for Santa Clara came in the fifth minute of the match, but they would prove useless and unforgettable in the barrage of points scored by Cal. The Bears put out an exceedingly young lineup to start — 8 of the staring 15 were freshman, most of whom did not see playing time in Cal’s last high-stakes match against UBC — and the group made quick work of the Broncos. 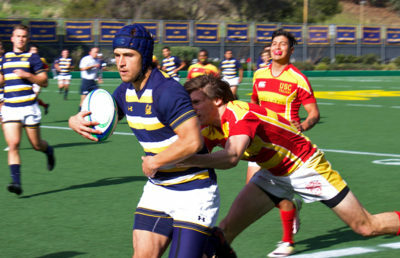 In the first half, junior flyhalf Elliot Webb led the scoring with five conversions for the Bears. Aside from Webb, six Bears would score tries, and by the time Cal entered the break, it had a 45-3 lead — one comfortable enough to last them the rest of the match. The second half of the game was much of the same for the Bears, who shut out the Broncos and tacked on 55 more points of their own. 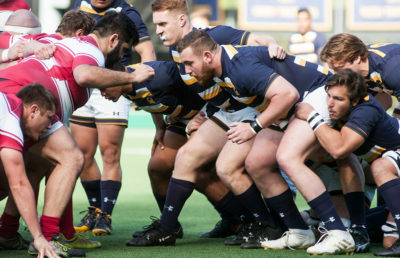 The point spread was distributed even further throughout the team, as nine different Cal players scored tries in the latter half of the game. Once again, Webb dominated the score sheet when it came to conversions, adding five more in the second half for total 10 conversions throughout the course of the game on 16 attempts. He’d also add in a try in the 70th minute. “I think today was great, but we have a lot to work on after this game,” D’Auriol said. Freshmen flanker Garrett Kay and winger Oliver Sharpe topped off the scoring effort with three tries apiece — a testament to the talented youth on this year’s roster. 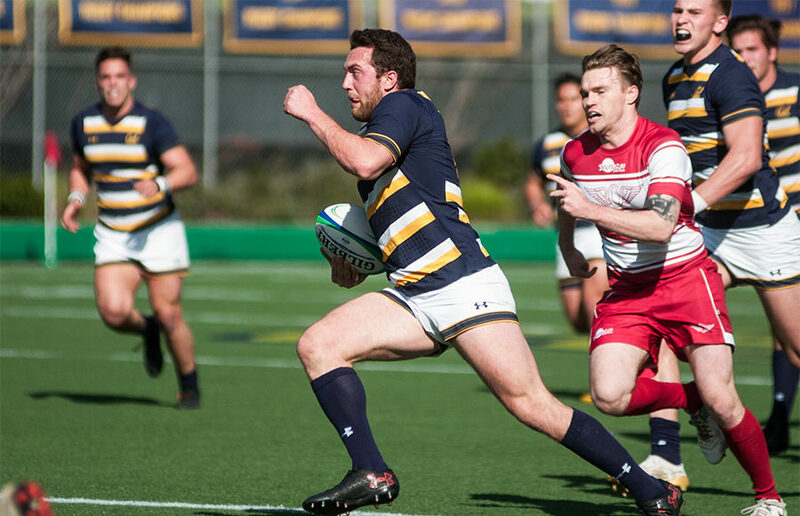 Many of the players that contributed to this massive win will get a chance to perform against a higher-caliber opponent in UBC this upcoming weekend, which will prove to be a better barometer for measuring the capabilities of Cal as it moves towards the postseason.